We just put up the following books on the Nanach information site NaNach.org they are available as PDF files and can be downloaded for free. 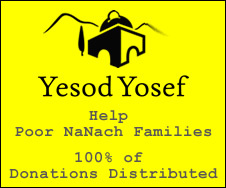 Much thanks to Daniel, Nachman and all the Givat Shaul Nanachs for giving us permission to post the books. Books are for personal use only. Any other use must first be approved of by the publishers. These links don't work. Can you fix pls?